From the moment when I looked at the cover, it began to give me such weird vibes and thought that everything is looking at me. But those eyes represent something beyond the story. Anyway, the story is about having to learn about a theory of some Japanese folklore, but it’s more like having a curse. However, everything on the pages is all black and white with some of the strangest backgrounds that the artist ever come up with, until the main character found a weird book at the library. 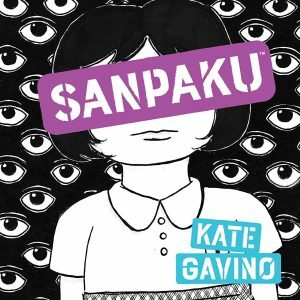 Furthermore, she was going to the library to do some research just until she found a book called “You are all Sanpaku.” Sanpaku has a meaning in Japanese of “three whites” which what you actually have seen on the cover where there all white eyes looking at you very drastically, but there is also a history behind this book and what the main character has discovered at the library. Probably you’re wondering what all of the black and white pictures like JFK has experienced some technical issues for color, but the meaning is the same, but on this story the reason that the creator wrote this is because some say that this Sanpaku portrayed in real life, it’s more of a Chinese relics or something like Ying and Yang. The story follows with some Catholic family with Marcine and her grandmother Lola, her grandmother knows more about that book than anyone else, but that book hides with some mysterious black magic or a curse. Then she died at the cause of the book’s curse which it makes to have some strange symptoms for them, and somehow Marcine was trying to make her life any easier after her grandmother’s death. In fact, the book holds some secrets that anyone ever knew, like JFK for example, a macrobiotic diet leader named George Osawa had predicted that President Kennedy would experience great danger because of his “Sanpaku” condition. But did anyone actually predicted that anyone who experienced having such a condition would face any dangers before? Think about it, and go back to what you’ve been doing last night. You’ve drank so many beers after losing your job, you get stressed because some idiot boss is probably a tyrant, are you fat and ugly and people don’t want to hang out with you because you’re actually starting to go for a diet? Therefore, you might experience some symptoms like any other people you know physically, physiologically, and spiritually. 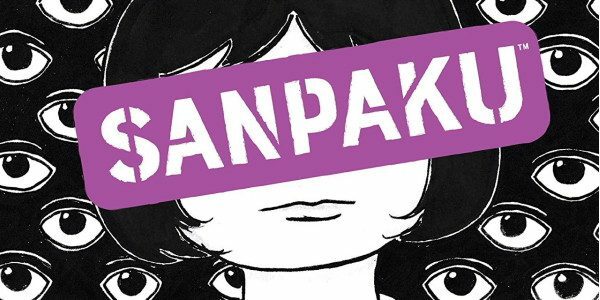 This graphic novel tells a story about some Hispanics who experienced the Sanpaku curse because of strange reasons about diet, but now the Sanpaku black magic has turned into this graphic novel. I have thought about this book, why does the author write a story about some Japanese occult theory, why does everything in the cover of this book are eyes everywhere, why does the author involved the story with Hispanics who suffered the curse in the first place? Most importantly, why does the author start referring with some famous people in society who suffered that curse before by some macrobiotic diet leader? All of this is actually becoming more confusing for the readers if the whole story focuses on the white eyes, diet, and a curse. This is something that anyone ever studied or practice this kind of sorcery before because they’re about to suffer the dangers between those who have the Sanpaku condition. This is actually a bizarre book that any reader will get, if you rather read and experience some of the weirdest stories around, then this is for you.